Heading out on a road trip when the weather outside is frightful? Here's how to find information on road conditions along your route. Weather events cause more than one million crashes every year on average in the United States and result in approximately 6,000 deaths and a whopping half a million injuries, according to the U.S. Department of Transportation. Storms, snow, ice, heavy rain, hail, dense fog, and severe crosswinds can make for extremely hazardous road conditions. 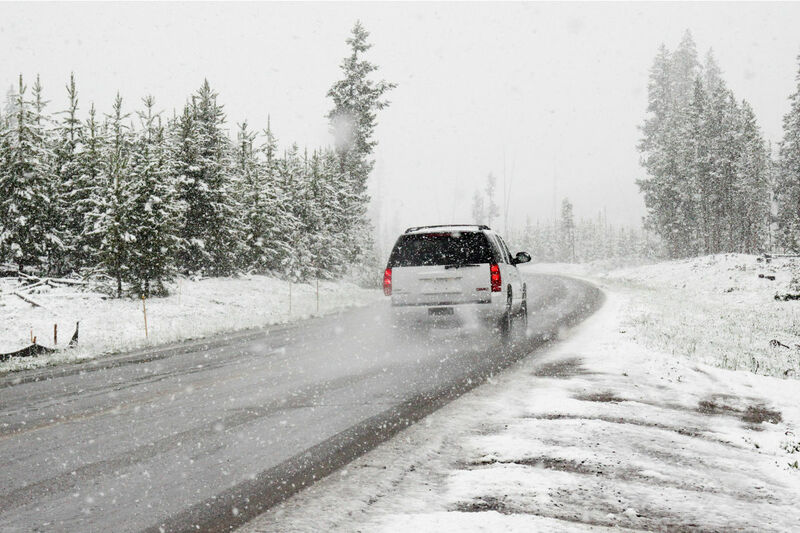 Road condition reports can help make the trip safer, especially during changing weather conditions. The Safe Travel USA website links to current road conditions reported by all states. Some state sites offer live webcam images to capture view first-hand what's out there. You can also get up-to-the-minute road condition information by dialing 511 on any phone. This number links travelers to a national database established and operated by the U.S. Department of Transportation's Federal Highway Administration. The 511 system connects drivers in 30 participating states to receive real-time information pertaining to road conditions, route detours and construction, and more. Put these apps in your toolkit and you'll stay on top of bad weather that might impact your trip. While the popular and powerful WeatherBug app (also available for Android) is packed with a lot of information you may not need, it also does lets you quickly access exactly what you're looking for, like weather conditions with hourly and extended forecasts. You can track multiple locations at once, which is handy if you need to know what's happening back at home, or in the next on your road trip. Like Waze for weather, the crowdsourced Weathermob app (available for iPhone only) relies on a combination of real-time weather reports from users on the ground plus meteorological data. Traveling between June and November to Florida, Mexico, the Caribbean or another hurricane-prone destination? Before you go, download the Hurricane app by the American Red Cross to track and keep tabs on conditions for your destination. Overall, the app is simple and intuitive. You can pre-select locations and the app will send you to warnings about storms. If you're heading into tornado country, stay tuned to weather reports on the radio or use the Tornado Warning App from the American Red Cross. One of the most dangerous weather events in the Midwestern and Southern United States, a tornado can form quickly and leave a deadly path of destruction. Tornadoes injure 1,500 more every year in the United States, according to the National Oceanic and Atmospheric Administration. In the United States, tornadoes occur mainly east of the Rockies. The majority of tornadoes happen in a large swath of the country called Tornado Alley, which stretches from northwest Texas across the Midwest states of Oklahoma, Iowa, Kansas, Missouri, and into Tennessee. Other states known for considerable tornado activity are Minnesota, Mississippi, Georgia, and Florida. In southern states, peak tornado occurrence is March through May, while peak months in northern states are during the summer.